PanARMENIAN.Net - According to the linguistic and historical data, Gypsies originated in the northwestern regions of India. Although the exact time and reasons for their departure is still unknown, scientists are apt to think that the main wave of migration took place at the turn of the 10th century. The Domba or Dom, an ethnic group in India, are believed to be the ancestors of Gypsies, expressing their culture and history through music, poetry and dance. The world-wide used name for Gypsies to identify themselves is the term ‘Htom’, which in the Romani language means a man. The majority of the estimated population of 2,2 million live in Turkey, Egypt and Iran with significant numbers in Iraq. Smaller populations are found in Libya, Tunisia, Algeria, Morocco, Sudan, Jordan, Syria and other countries of the Middle East and North Africa. The actual population is unknown as some Dom are excluded from national censuses and others label themselves in national terms rather than as Dom. Iranians called them ‘gurbati’ or ‘kouli’, both meaning "foreigners". At the beginning of the 12th century, a group of Dom people entered Armenia. Afterwards, most of them moved to Byzantium and later scattered across Europe and Russia. The Romani language they speak still includes about 50 words derivatives from Armenian: khumer - khmor (խմոր, dough), chekat - chakat (ճակատ, forehead), morti (մորթի, fir), and others. Some of those people, who called themselves Lom, stayed in Armenia in the 12th century to give rise to Armenian Gypsies. The phenomenon of Armenian Gypsies, also known as Bosha(s), is unique: starting with Middle Ages, these people completely assimilated into the local culture. The same cannot be said about other Gypsy groups, who have preserved their national features to some extent. Two Armenian authors, who gave a detailed description of the local Gypsies in late 19th and early 20th centuries, Vrtanes Papazyan and Grigor Vantsyan, pointed out the differences between the Lom, Roma (European) and Dom (Assyrian) groups. They specifically mentioned that Armenian Gypsies were not engaged in theft and fortunetelling, unlike those living in other countries. Researchers are unanimous that Gypsies living side by side with Armenians, learning the Armenian language and getting familiarized with the religion, traditions and everyday life of the locals finally turned into a sub ethnic community in the 17th-18th century. It’s not known when exactly the Armenian Gypsies became Armenian speaking and accepted Christianity, but most probably it happened during several centuries after the settlement. It’s noteworthy that Gypsies didn’t practice any religion before. Armenian medieval registers provide no information regarding Gypsies; only some sources mention Gypsies as followers of a pagan medieval sect. As a matter of fact, the word ‘gnchu’ (գնչու) originated from Grabar, previously meaning ‘to stammer’. It was merely used to describe the phenomenon and was attributed to an ethnic group long after. As to the term ‘bosha’, there are two main theories explaining it. According to the majority of researchers, the term refers to Turkish ‘bosh’ (boş), which means ‘null’, ‘empty’, ‘having nothing’. 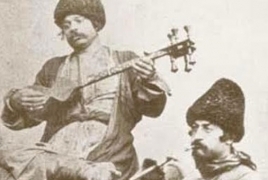 However, Iranian studies expert Vardan Voskanyan believes that the name is conditioned by the sounds ‘b’ and ‘sh’ frequently used by the Armenian Gypsies. (Here, the example of Zaza people can be brought.) 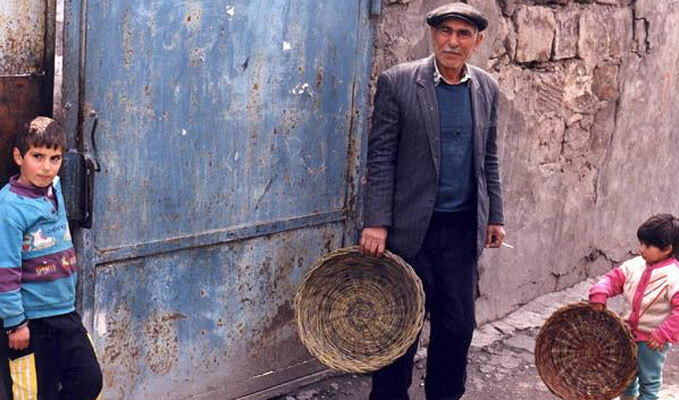 The other names given to Gypsies in various parts of Armenia include: mitirb, jingyan, gharachi, lorik and abdal, used to substitute the ones given by Kurds, Turks and Persians. The earliest reference about the Gypsies as a separate community was made in the 16th-17th century. The information provided by historian Abraham Yerevantsi is especially interesting. He told about the participation of Gypsies in the Armenian self-defense battles against the Turkish army in June-September 1724. 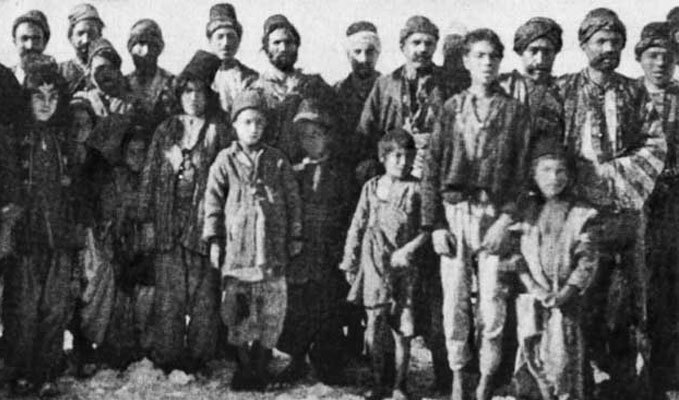 According to the historian, about 2000 Gypsies residing in the Kond district of Yerevan joined Armenian forces commanded by Ghazaris, Klduz, Davit, Beyram and Petik to fight the Turkish army of thousands. Basing on these sources, it becomes clear that starting with the 16th century, Gypsies mostly lived in the western and northern parts of Armenia. After the 1828-1829 Russian-Turkish war, Gypsies moved from Karin and Kars to Javakhk (Georgia) along with the numerous Armenian families. In the late 19th century the number of Gypsies in Western and Eastern Armenia was about 15,000, Grigor Vantsyan believed. Other sources raise this number up to 50,000. The difference is presumably conditioned by constant migration of the Gypsies as well as their quick assimilation into the Armenian society. As it was already said, Gypsies felt themselves at home in Armenia. They learned the Armenian language and adopted Christianity, thus becoming a part of the local population. In the 19th century, the term Armenian Gypsies (Boshas) was used to describe this community. When asked about nationality, most of them answered they were Armenian. According to Vantsyan, Armenian poet and teacher Harutyun Alamdaryan (1735-1834) and nephew, prominent Armenian linguist and orientalist Kerovbe Patkanyan (1833-1889) were of Gypsy origin. 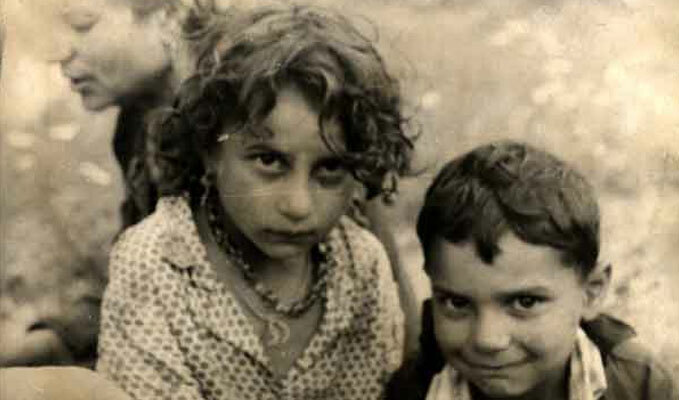 Nonetheless, Armenian Gypsies lived within their community, some still living a vagabond life. They spent the winter in rented cottages and traveled from province to province, when spring came. It should also be noted that there were no marriages between Armenians and Gypsies. Moreover, even after adopting Christianity and getting baptized, most of the Gypsies remained indifferent about religious issues and traditions. They rarely sent their children to school, but were law-abiding and peace-loving. As Vantsyan stressed, no criminal case was ever initiated against a Gypsy. Gypsy men were for most part engaged in flour bolt production and made some minor items or toys for kids. There were also farriers, veterinaries. Some were good musicians and story tellers, who would wander across the country to participate in shows. However, majority of the men stayed at home, while their wives provided for the family. Gypsy women were the traders. “She takes several flour bolts and go out to knock different doors and offer her goods for some money or in exchange for food or clothes. When walking around, she can even knit socks. Anyway, she doesn’t return home empty-handed,” Papazyan wrote. Despite this vagabond life, Armenian Gypsy women were honest wives. The decency of Armenian Gypsies was attributed to the society they lived in. “A Turkish Gypsy just waits for a suitable moment to thieve anything possible; Armenian Gypsy never resorts to dirty tricks,” Vantsyan wrote. It’s thanks to Gypsy women that the word ‘bosha’ later came to describe a wandering and begging person in the Armenian language, assuming a negative meaning. As to their own language, Lomavren (also known as Lomakan, or Lomeren), it was almost forgotten by the 19th century and was merely used for communication within some Gypsy families. After the 1915 Armenian Genocide in the Ottoman Empire, Boshas moved to Eastern Armenia to settle in Sari Tagh and Kanaker districts of Yerevan and Gyumri. Some traveled to Javakheti, Georgia. In the census held in Armenia in 1926, only several dozens of Gypsies were for the last time mentioned as a national minority. In the 20th century, the lifestyle of Armenian Gypsies underwent considerable changes: they started living a sedentary life, dropped traditional flour bolt craft and other habits, thus becoming ordinary Armenians.